Who's Afraid of the Big, Bad Toddler? A number of bold writers have attempted to predict future states of human society. Perhaps the two best known works of such speculative fiction were written in the first half of the twentieth century. These two novels offer competing visions of humanity's potentially dysfunctional future. One is Brave New World, by Aldous Huxley. First published in 1932, this novel describes a society in which human beings are genetically engineered to fit into rigid social castes, which they occupy from birth to death. In Huxley's fictional world, it is impossible for any person to raise his or her social standing; in fact, people are systematically brainwashed to accept their assigned lots in life. Feelings are controlled by drugs, so normal human emotions such as depression and anxiety have (supposedly) been eliminated. Another unforgettable example is George Orwell's Nineteen Eighty-four, published originally in 1949. Orwell satirized, and warned against, Soviet-style dictatorship. His tale is set in an imagined future civilization dominated by an omnipotent, omniscient, unseen entity known as "Big Brother." In this environment, the individual is completely insignificant; people live only as functionaries to perpetuate the totalitarian state, which controls every aspect of every person's existence. While both novels are compelling, neither Huxley nor Orwell could have predicted the twenty-first century. The true victor in this de facto competition offered a more chilling, and relevant, vision than either of them could have imagined. In his intriguing 1985 work, Amusing Ourselves to Death: Public Discourse in the Age of Show Business, cultural critic Neil Postman compared these two visions of the future. Postman's book is a blistering critique of the modern entertainment culture. The author argues powerfully that the prevalence of mind-numbing, commercially-driven television has reduced all discourse to utter nonsense. No serious discussion of issues is possible when any message, no matter how critical, can and will be interrupted by a vapid advertisement for beer, complete with asinine musical jingle. Both literacy and education have fallen victim to the devastation wrought by television. Thus, asserts Postman, Huxley's version of the future, in which "what we love will destroy us," essentially appears to have been fulfilled. On first reading, it is difficult to argue with Postman's declaration of Huxley as the more accurate prophet of doom; however, developments of the past quarter-century have refuted Postman. In fact, both Huxley and Orwell missed the mark. Their bizarre visions of the future have been superseded by that of the very prescient science fiction writer, William Gibson. Gibson is best known for having coined the word "cyberspace." His books predicted technologies such as virtual reality and the commercial Internet, long before those terms became household words. Most of his novels are set in a world without boundaries, in which which fantasy and reality have merged. One example is Idoru, which tells of a "relationship" between a human rock star and an artificial celebrity (an "idoru") created in Japan. The human being declares his intent to marry a virtual one, a figment of its society's collective imagination. In today's society of social networks, instant messaging and a twenty-four-hour news cycle, Gibson's stories are increasingly less far-fetched. Day by day, Gibson's fictional world seems, and feels, hauntingly similar to our own. When the wall between the real and the imaginary is breached, the consequences for can be far-reaching. The erasure of the boundaries between the real and the imagined has extended to a breakdown in the societal boundaries once considered sacrosanct. In Western societies, this breakdown means that children often are raised with an ingrained sense of entitlement, sometimes a comically extreme one. A prominent rabbi in the Los Angeles Jewish community recently addressed that sense of entitlement and the challenges that it poses for parents. Many parents feel subservient to their children, even duty-bound to indulge their children's desires for material gratification. One story involved a woman whose nine-year-old son demanded the latest Pokemon toy. This woman searched for the toy in a store, but discovered that the item had been sold out. She asked the store's personnel if any toys were left in stock, and learned, to her chagrin, that none remained. In desperation, she then requested a note from the store's management stating that no toys were left, but the store was unwilling to comply with her request. Horrified, the poor mother was forced to return home and to face the wrath of her nine-year-old son. In another case, a toddler in a shoe store settled on a pair of shoes that she liked. When the proprietor recommended a different pair of shoes, a healthier and better fitting pair, the child refused to switch shoes. Her mother apologetically told the proprietor that her daughter truly wanted the other shoes, and that she therefore had to buy them. Numerous such incidents occur daily throughout the Western world. The rabbi suggested economics as an important contributor to this sense of entitlement among children. In earlier generations, consumer credit was either nonexistent or available only to the wealthiest members of the society. Consequently, most individuals had only limited access to consumer goods; one could spend only the money available in his or her wallet or bank account at the time of each purchase. Thus, for the vast majority of the population, ownership of luxury items was out of the question; since those items were completely inaccessible, one neither considered owning them nor felt entitled to them. However, the extension of consumer credit to the masses has made expensive goods such as sophisticated electronic device and luxury cars available to people in a wide range of socioeconomic levels. The possibility of on-demand use of an item that one cannot afford has led many individuals to feel that they must have that item, and that they therefore deserve it. As a result, many children have come to expect their parents to get them whatever they want, simply because they have never been told, "No, we can't afford that." Effective parenting, said our speaker, requires a certain balance. It may be a difficult balance to achieve, but well worth the effort required in attaining it. A parent must be able to say "no" to a child's demands without imposing intolerable limits that stifle the child. On the other hand, one must be ready to give what one's child what he or she wants, when appropriate, without engendering in the child a sense that he or she automatically deserves anything that strikes his or her fancy. Jewish tradition cautions us that "the right hand draws close, and the left hand pushes away." When one pulls with the right hand while pushing with the left hand, the affected person or object is literally turned around. In a deeper sense, a judicious parent will use his or her strengths and abilities to maintain a close relationship with a child, while sometimes - less forcefully - setting necessary and tolerable boundaries. Eventually, this approach will empower the child to recognize what is and what is not important, valuable, safe, and proper. He or she will be transformed, "turned around," a responsible human being with boundaries intact. This challenge may seem a daunting one in the modern era of instant, on-demand gratification, but it is achievable. A key strategy is to create a culture characterized by striving, to counteract the prevailing sense of entitlement. Children can learn to earn rewards, by gradually improving in some area or by demonstrating consistent performance, rather than receiving deserved benefits. The concept of working towards a desired benefit eventually can supplant (to some degree) the idea of receiving it as an automatic, deserved gift. As a personal observation, I would add that any physical or personal benefit obtained as an achieved goal is more valued by the recipient than an unexpected gift. With a bit of thought and effort, we can transform our children and ourselves into balanced, goal-oriented, people who approach life with an effective balance. A world without boundaries can be relegated to the realm of science fiction. Meg Murry and Eva Nine never had a chance to meet. What a pity; they would have gotten along famously. Their similar life experiences, shared dreams and common personalities could have formed the basis for a beautiful friendship. Alas, the two girls inhabited different worlds. Meg is the protagonist of Madeleine L'Engle's now-classic children's novel, A Wrinkle in Time, first published in 1962. Eva is the central character of Tony DiTerLizzi's new bestseller, The Search for WondLa. Each of these stories revolves around a young lady's struggle to find her way - and to achieve a noble goal - in an alien environment, after her known reality has been torn asunder. In the process, each girl learns valuable lessons and solidifies her own identity. Both novels are intriguing, thought-provoking and hard to put down. However, there the similarities end. The contrasts between L'Engle's family-oriented classic and DiTerLizzi's more solipsistic tale, products of very different eras, are noteworthy and possibly disturbing; still, there's plenty of room for optimism. A Wrinkle in Time begins late one stormy night, when Meg Murry and family have trouble sleeping. They live, presumably, in a small New England community. Meg, her young brother named Charles Wallace and their biologist mother gather downstairs in the kitchen for a midnight snack. Their physicist father is missing. He was last known to have worked on a top secret project for the government, and had sent a stream of daily letters home. One day, the letters simply stopped arriving. Nasty rumors regarding his whereabouts began to surface, and Meg soon found herself the recipient of many insults and snide remarks at school, even from her principal. Meg's feisty, assertive personality enables her to survive the perpetual onslaught. She has a very nonconformist persona, often seeming irritable, and doesn't seem to enjoy being an outcast. (Who ever does?) She and her family hold high hopes for her father's eventual return. The family gathering is interrupted by a strange lady's appearance at the back door. A woman known only by the curious appellation "Mrs. Whatsit" visits the Murrys and tells Meg's mother that "there is such a thing as a tesseract." A tesseract, the reader soon learns, is a wrinkle in time - a means to shorten the interval between one moment and another, thereby enabling a form of time travel. Apparently, tesseracts can also include wrinkles in space, because the next day, Meg, Charles and a new friend named Calvin are instantaneously transported (with the help of Mrs.Whatsit, and two additional companions, Mrs. Which and Mrs. Who) to a strange planet where the three mysterious ladies seem to feel more at home. There, they are introduced to a dark nemesis residing somewhere in outer space, a "Black Thing" responsible for their father's disappearance and capable of consuming entire planets; consumed planets become "dark planets." Through a fantastical sequence of events, Meg, Charles and Calvin end up on a bizarre world known as Camazotz; the mysterious ladies have left them there with cryptic advice to help them on their quest for Dr. Murry. The three children discover that Camazotz is inhabited by human beings who behave as a massive, robotic proletariat. All of their actions are timed and regulated according to a weird and rigid plan dictated by an unknown entity called "IT." They find a community resembling any late-twentieth-century suburban locale in the Western world; however, the people inhabiting the community appear bored and are unkind to strangers. It is a libertarian's worst nightmare. Children bounce balls in complete synchrony, with no emotional expressions, and front doors open and close simultaneously and on perfect schedule. The inhabitants of Camazotz live in absolute conformity, and their individual identities have been robbed from them. Meg never abandons her hopes of finding her father and reuniting her family on Earth. With fierce determination, she combats all of the forces rallied against her: the cruel, stupid rigidity of Camazotz; the environs of several alien worlds; and her own negative personality traits. Through her struggles, Meg learns a number of important lessons, and manages to come to terms with her own identity, even embracing it. Eva Nine wouldn't know normalcy if it hit her in the face. How could she? Her home is a futuristic, ingeniously engineered "Sanctuary" built underground. The computerized Sanctuary has provided for all of Eva's needs for as long as she can remember. She has been fed, clothed, well-attended, educated, and entertained in the Sanctuary. Eva has no siblings and no idea who her parents are. In fact, by the age of twelve, she has never met another human being and has never set foot above ground. Eva's only relationship is with Muthr (Multi-Utility Task Helper Robot), the cyborg who raised her in her subterranean residence. Her education has taught her much about life above ground, including the existence of other humans, and Eva yearns to leave the Sanctuary to meet them. Like Meg, Eva has an aggressive, independent personality. By chance, she discovers some hidden rooms and passages within her Sanctuary. Eva uses one such tucked-away location as her secret hiding place, which she fills with toy stuffed animals and the like. She frequents this hiding place whenever she wants to get away from it all. One day, Eva discovers rock-solid evidence that other humans exist: an item in her secret hiding place that she never placed there. It is part of a photograph, burnt around the edges. In the photo, Eva can discern a smiling girl holding hands with a man and a robot. The letters "W-O-N-D" are legible near the top of the picture, and the letters "L-A" near the bottom. Eva calls this item her "WondLa," and determines to find its source - outside the Sanctuary - someday. Eva's stable but unsatisfying existence comes to an end one day when a marauding huntsman from above ground destroys her Sanctuary. The Sanctuary is slashed and burned to bits, and Eva barely manages to escape with her life, WondLa in tow. It is hardly the introduction to above-ground existence that Eva had envisioned for herself. Worse, she has no idea whether Muthr survived the attack. Worse still, Eva finds herself totally unprepared for life above ground. Armed with only her Omnipod (a PDA-type device that captures and projects 3-D holographic images of local surroundings and keeps Eva informed by accessing an encyclopedic knowledge base), her talking jacket (a "jackvest"), a supply of food capsules, and her wits, Eva explores an unknown planet that looks nothing like the Earth of which she learned while living in the Sanctuary. Not only is she completely unfamiliar with the territory that she finds, her environs are totally unrecognizable, even to the Omnipod. In the Sanctuary, Eva learned about Earth's animal and plant life. Above ground, Eva is forced to confront a bewildering array of unfamiliar living things, including trees that walk and odd animals that resemble overgrown turtles and communicate through mental telepathy. She ends up befriending a strange, lizard-like biped with gills who speaks to Eva in a completely indecipherable language but eventually makes himself understandable using a weird device with a set of tiny, inhalable microchips. Eva is eventually reunited with Muthr, and her bizarre friend, Rovender Kitt, tells her that he has never seen a creature resembling Eva and never heard of a planet called Earth. He claims that they are on a planet called "Orbona." However, Rovender agrees to accompany Eva on a journey to the Royal Museum, where evidence of human existence is on display. Perhaps, he tells them, that there, Eva will be able to find some clue as to where any other humans might be. Meanwhile, the huntsman who destroyed Eva's Sanctuary remains in hot pursuit, and Eva must repeatedly outsmart him, along with numerous additional alien adversaries. Eva's main struggle is to find belonging and acceptance; her search for WondLa is a search for a stable, normal life. Thus, the tale is of Eva's quest to find her own identity. As the story unfolds, Eva must forge an identity for herself. The most important difference between these stories is in their protagonists' familial circumstances. Meg has a family, a large one by modern Western standards. She has a solid sense of who she is, and her main difficulty is in restoring the balance that has been completely upset by her father's disappearance. Meg's family is the most important thing to her. The love that underlies her parents' marriage, and the love that binds the Murrys and their four children, are assumed to exist. Meg struggles to survive socially in an outside environment that values conformity and the matching of external expectations, but at the end of the day she has a warm family to which she can return. Eva, on the other hand, seeks to establish a set of human relationships that she never had. Though raised in a technically stable environment, Eva yearns to live as a normal human girl. Her closest relationship is with a machine, and when she loses contact with the machine, the best that she can do is to befriend a strange creature. An entire world, the world that she hoped to find by stepping above ground, is missing. Eva's forced nonconformity to her alien environment is her greatest peril; she cannot embrace it, but must fight to survive despite it. The contrast between these two tales reflects the shift in Western lifestyles that has taken hold over the past fifty years. Meg's family was typical of its era: two happily married adults raising several children in a stable home. Eva's existence is characterized by anomie. It is not her fault that she has no friends; she has been thrust into a strange world against her will. 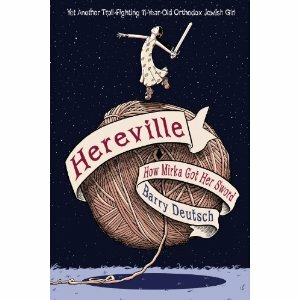 DiTerLizzi's excellent novel was published forty-eight years after L'Engle's, and reflects an American society in which families with close parent-child relationships are fast becoming the exception rather than the norm. It is a society increasingly characterized by rootlessness and uncertainty, in which earlier social and moral norms have broken down. In the 1960s, Bobby and Ethel Kennedy raised a family of ten children, and were admired for it; today, smaller families than theirs are met with gawks and rude comments when seen in public places. Many children will find it easier to relate to Eva than to Meg; even among children with two parents at home, the pervasiveness of vapid visual entertainment has turned those parents into strangers. On the one hand, the continued publication of engaging science fiction and fantasy for children over the course of the past half-century is something to appreciate; there is much depth to be mined in The Search for WondLa. On the other hand, Eva Nine's circumstances may be cause for alarm. Despite Eva's isolation, there is something redemptive about The Search for WondLa: the very search itself. Eva Nine and Meg Murry ultimately pine for the same thing: a happy and stable life with a loving family. Eva connects emotionally to her cyborg parent and befriends her lizard-like traveling companion, but clings tenaciously to her hope and desire for human connections. Perhaps her longing reflects a societal yearning for the same goals. On some level, our society may be yearning for a return to its former family orientation and stability. And as long as we continue to wish for meaningful connections and stable relationships, there is hope for us too. She's a Girl, Not "Garbage"
Some girls don't get to have fun. Life can be tough when you're raised by a tiger. Yale law school professor Amy Chua, a self-labeled "Tiger Mother," never allowed her daughters, Louisa and Sophia, to have play-dates, to participate in school plays, to complain about being left out of school plays, to play video games, to attend sleepovers, to be less than the top student in every academic subject, to receive any grade less than an A, to play any musical instrument other than the violin or the piano, or to refuse to play the violin or the piano. Though several months have passed since Ms. Chua's provocative essay, "Why Chinese Mothers Are Superior," first appeared in the Wall Street Journal, setting off a firestorm of controversy, it's a timely subject to address in this final week before the annual Passover holiday. The contrast between the traditional Jewish view of parenting (similar to the view that has been accepted throughout the Western world) and Chua's view is never as stark as at Passover time. Chua espouses the notion that successful parents are those whose children are successful academically; this perspective seems to have guided most or all of her parenting decisions. According to this view, Chua succeeded by raising two academic high achievers who had mastered musical instruments. (The complete sacrifice of social and communication skills, critical in Western society, was apparently of no consequence to Chua.) In the Amy Chua school of parenting, a child's very worth is defined by the value of what he or she can produce academically and musically (violins and pianos only, please), not by emotional, spiritual, moral or social qualities. This approach is not only rigid and demanding; it is dangerous to the very people whom it targets, and to the rest of their society. In the February 22 issue of Family First, the women's supplement to the Jewish weekly magazine, Mishpacha, Malky Heimowitz astutely points out the perils along the road to achieving Chua's vision of success. "Successful parenting," Heimowitz writes, ". . .is about raising happy, well-adjusted kids who have a strong sense of right and wrong." Chua, however, appears to have perpetuated her own family's pattern of verbal abuse, threats, temper tantrums, and dread that she experienced in childhood (and absorbed from her own parents). She confesses to having called her daughter, Sophia, "garbage" when the girl behaved with disrespect; Ms. Chua had learned the use of that pejorative from her own father, who had hurled it against her under similar circumstances. Another of Chua's gems is, "Hey fatty - lose some weight." As Heimowitz notes, calling children "garbage" and "fatty" is not exactly a sure-fire way to teach them to treat others with respect. The lesson: insulting your children will lead them to insult their own. Heimowitz points out a number of contrasts between Chua's attitude toward education and the attitude of the Torah and the Jewish people. Chua claims that children are obligated to spend their lives making their parents proud of them, as repayment for bringing them into the world and caring for them. The Torah teaches otherwise; children are raised not to be their parents' slaves, but to live upright, morally and spiritually fulfilled lives. Bringing children into the world must be an act of pure giving. Chua also asserts that her knowledge of what's best for her children overrides all of her children's preferences and desires. The idea is that every parent is entitled to suppress her children's individuality entirely. Such tyranny breeds a home environment characterized by "eimah yeseirah," excessive dread, a trait that the Talmud warns Jewish parents to avoid. In a revealing account, Chua describes her attempts to force her seven-year-old daughter, Louisa, to master a particular song that she had been learning to play on the piano. After numerous attempts, the girl was ready to quit, and resisted her mother's attempts to command her back to the piano. Her mother somehow managed to get Louisa to sit down in front of the instrument, and then resorted to every parent's least effective tactic for enlisting cooperation: she threw a temper tantrum. She threatened to donate her daughter's dollhouse to charity, insulted the girl, screamed at the girl until losing her voice, and forced the hapless Louisa to practice that song until she had learned to play it right. The girl was not allowed to eat dinner or to use the bathroom until she had succeeded. Where's the United Nations Human Rights Commission when you need them? The Jewish people, and most of the rest of the Western world, reject the notion that the ends justify the means. "Even if Lulu becomes a world-famous virtuoso as a result of her mother's intimidation," comments Heimowitz, "Chua is still accountable for her deplorable behavior." She further notes that intimidation does not produce a child who actually wants to learn any subject, or who enjoys learning any subject. A child may absorb information despite an unpleasant learning experience, but no child will develop the motivation or the desire to teach himself or others unless his or her education is a sweet one. Every teacher also must be prepared to deal with his students' failures; the Talmudic relates the story of a particular rabbi who patiently taught his student each lesson four hundred times before the student could learn it successfully. Less than one week from today, as we have done every year for over thirty-three centuries, Jewish families around the world will gather together on Passover night to relive the experience of our national redemption of crushing servitude and spiritually destructive exile. The central feature of this experience, known the Passover Seder, is the education of our children and ourselves regarding this national experience and the faith in G0d that it is meant to foster. Overwhelmingly, this education is transmitted from parents to children, and is a pleasant one. Parents embellish the basic story with myriad details, and the Seder itself is designed to include songs, questions, and special foods as tools that make the experience both real and enjoyable. In many families, including our own, toys will be used to enhance the story with some hands-on experiences that make it come alive. Children's questions are both welcomed and encouraged; in fact, facets of the Seder itself are designed to elicit questions. We welcome our children's continued inquiries, and value their contributions and opinions, as they persistently seek to arrive at the truth and to understand the traditions that they are given. We will teach our children because we love them, and because we desire to share our precious and rich heritage with them. The loving, kind, transmission of our Torah from parents to children has been the hallmark of Jewish education throughout the ages. Passover night will be a wondrous, uplifting, educational experience for all who participate. And it will be a blast. This past week, our next-to-youngest child celebrated his fourth birthday. It's a new era for him and for our family. I am proud to usher in this new era with my new blog, Wyckoff Works of Wonder. Here, you'll find updates on my writing, new information about upcoming books and stories, and my musings on children's literature, childhood, parenthood, and whatever else is on my mind. I've chosen to begin my inaugural post with a review of a compelling book: The Death of the Grown-Up: How America's Arrested Development is Bringing Down Western Civilization. It's an eye-opening work by Diana West, published in 2007. Every so often, you read a book that gives you pause, that challenges you to rethink some prior notions on life, society or the human condition. If you're fortunate, you may discover a work that literally changes your life, a true gem that throws your entire worldview for a loop. The Death of the Grown-Up is one of those books. In this brilliantly researched study on the place of childhood within the modern American (and, by extension, Western) cultural matrix, Diana West argues that we, as a society, are in serious trouble. Here's why. Over the past seven decades, the norm in the parent-child relationship has shifted from a focus on the child's responsibility toward his parents to an emphasis on the parents' responsibility toward their children. Parents acquiesce to their children's demands for ever more liberty that they can't handle responsibly, and even provide the necessary means, money and venues for indulgence.The notion of childhood has thereby evolved (devolved?) significantly since 1940; what was once considered a temporary developmental stage on the road to eventual maturity and adulthood has become an end in itself. The goal of "growing up" has been largely abandoned in favor of a perpetual adolescence. (Remember those Toys 'R' Us ads from the 1980s?) This societal Peter Pan Syndrome has allowed behaviors and social mores once shunned by mainstream society as childish, or even obscene, to gain widespread acceptance; indeed, those formerly immature, fringe behaviors have redefined the mainstream. Examples abound. West enumerates, among other symptoms, the widespread proliferation of rock music and its many variants, the ever-aging segment of the population that plays video games, the childish modes of dress preferred by many adults, the loss of respect for age-old institutions such as marital fidelity, and the continual breakdown of moral restraint exhibited by adults. Before 1941, the word "teenager" was absent from the American lexicon; today, a vast corporate empire exists to indulge teenage wants, whims and "needs." The modern torrent of silly, vapid reading material aimed at teenagers (almost exclusively girls) began in 1944 with the initial publication of Seventeen magazine. The Death of the Grown-Up is more than a coherent plea for adult responsibility. It is a call to action. It has provided a vision for Wyckoff Works of Wonder and for my writing career. When the grown-ups left this world, they took a large portion of the world's decent children's literature with them. Today, many authors and other adults have no objection to the literary filth often marketed to children. As the standards of education and moral behavior are dumbed-down, some argue that children's literature also needs to be dumbed-down. One author who has written some excellent, enthralling works for younger children - along with some more risque ones for older children - has stated on her web site that today's children often are exposed to many abuses and vices in real life; therefore, it's fitting for them to read books about kids who must grapple with abusive, vice-ridden circumstances. Doesn't she have a point? Nonsense, I say. It's time to take a stand. It's time to expose our children, our most precious assets, to new possibilities. Let them read books that show them what it means to live in a stable family, if they're not fortunate to have such a luxury at home. Let them see the consequences of making the right choices, if their personal surroundings do not provide them with the right choices. Let them read about characters who strive to improve themselves, and to rise above their circumstances, if they're surrounded daily by cynics, losers and people with no goals. Literature can provide an escape from the drudgery of a dysfunctional life that the reader never created, but such an escape is of little value if one's literary world replicates one's own, familiar dysfunctionality. If, on the other hand, a child uses literature to escape to a world of stable relationships, solid values and people who aspire to something greater than themselves, then he or she has a real chance of transcending his current limitations. He or she will be able to envision a more desirable, and stable, future for himself. At the very least, he or she will know what it means to strive toward a bright future as a morally responsible and stable adult, leaving behind the peer or family group of dysfunctional Toys 'R' Us kids who daily try to drag him or her into their pathetic abyss. West has penned an obituary for the grown-up, but her book is more than a death notice; it's a wake-up call. It is time to raise the bar. As adults, we have a responsibility to provide our children (not just our own) with a world that is stable, secure, safe, respectable, fulfilling, and happy. We must provide them with a desirable, achievable vision of adulthood, along with a taste for what it means to be a mensch. We must inspire them to strive, to yearn to become more than they could possibly imagine. 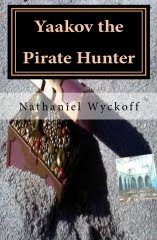 My first novel, Yaakov the Pirate Hunter is about adventurous, persistent children who ultimately achieve a lot more than they thought possible. Read more about it here. It is the first in what I hope will be many works of wonder.